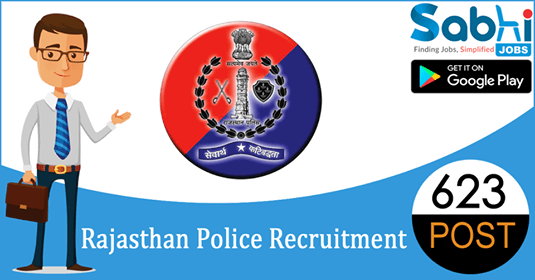 Rajasthan Police recruitment 2018-19 notification has been released on official website www.police.rajasthan.gov.in for the recruitment of 623 vacancies at Rajasthan Police. The candidate who is looking for Constable can apply online application from 21st July 2018 and before 10th August 2018. Qualification 8th pass. Knowledge of Hindi and Rajasthani Culture. Having Driving License. Selection Process Selection will be based on Written Test and Physical Standards Test. How to Apply Interested and eligible candidates may apply online application form at official website www.police.rajasthan.gov.in from 21st July 2018 to 10th August 2018.